This afternoon I registered for the Twin Cities Marathon on October 7. I did it after completing a cold 5 miles run and noticed an immediate lift in my mood. I was excited to get started in the training. I realize the psychological lift comes partially from setting goals and working towards them. I have completed ten marathons since 1999, but skipped 2011 for a variety of reasons. Now that I have “bought the bib,” I need to back it up with proper training. Running last Wednesday with friends Tim and Dave, we talked about proper training. Proper training means not being a slave to a training program and learning to listen carefully to our bodies. It means the gradual increase of weekly mileage and seeking the balance between rest and hard training. Above all it means perseverance towards the goal. I know that my initial enthusiasm will wane in the coming weeks as the training intensifies. What has helped me a great deal in my past training has been a good group with which to do the weekly long run. As those weekly runs gradually climb to over fifteen miles or more than two hours, I appreciate having company to encourage or distract me. When I might have quit and turned back early, the group seemed to pull me along. 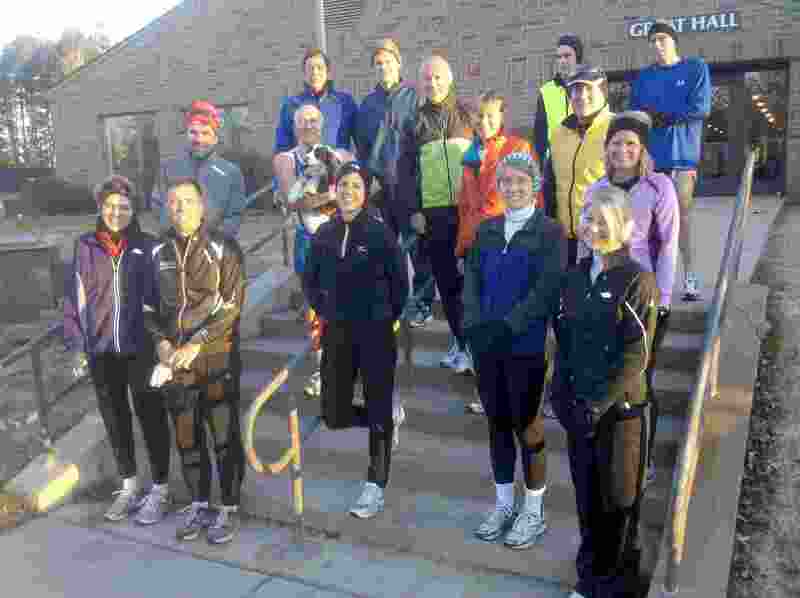 Running is often a solitary sport, but a good running group can be a true blessing. Being now at Resurrection Lutheran, I look forward to find some new running friends. The Apostle Paul used the image of a foot race in his writings. The Hellenistic world where he preached continued to celebrate the Olympic Games. The Games included several foot races, from 200 meters to 5 kilometers. (The marathon race is a modern development with ancient roots.) Paul had a much more serious “marathon,” establishing new missionary outposts in the cities and towns of Asia Minor and Greece. He persevered through tremendous opposition to proclaim the good news of Jesus Christ. He preached in a world where people were often more interested in who won the last Olympic wreath than in who could bring them eternal vibrant life. Sounds a bit like today. Near the end of his life Paul wrote, “”I have fought the good fight, I have finished the race, I have kept the faith” (2 Timothy 4:7). Lord Jesus, train me to fight your good fight and to finish the race you have set before me. This entry was posted in Body Mind Spirit, Resurrection Lutheran Church, Running, Uncategorized and tagged 2 Timothy 4:7, marathon on February 11, 2012 by Pastor John Keller.